The Palace Dwellers are a group of elves that have returned to the Palace of the High Ones, the ancestral elfin home. There, under the tutelage of Firstcomer Timmain, they learned the magical ways of their ancestors and left the two-mooned world of to travel the cosmos and return and restore the High One’s original planet, the Star Home. The Palace Dwellers are made up of elves originally from a variety of elfin tribes, including Sun Folk, Wolfriders, Go-Backs, Gliders, and WaveDancers, as well as many lone wanderers and elves of unknown origins that have answered the great call to return to the Palace. Even a contingent of trolls has returned and taken up residence in the Palace. The Preserver flock is, of course, ever-present, doting on all. In addition to the living Palace Dwellers, the spirits of many elves are also present there. 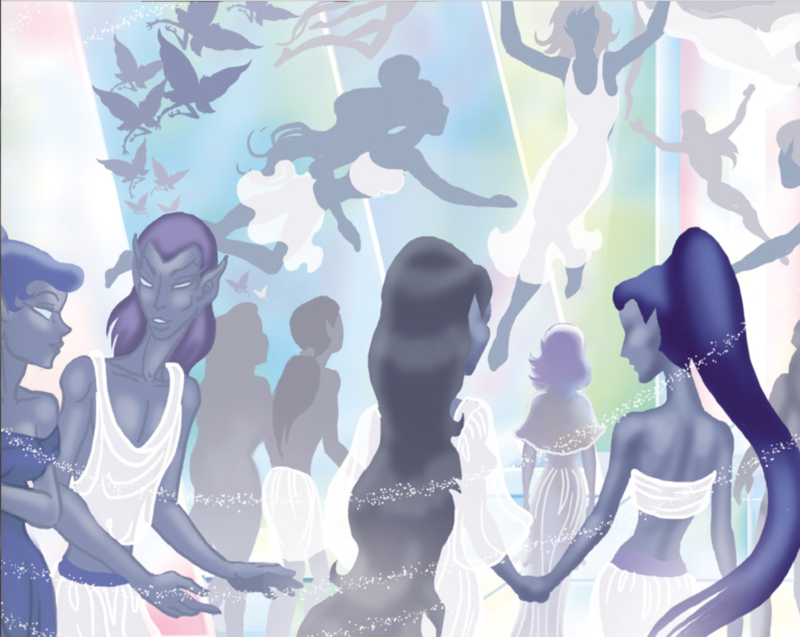 After death, the spirits of immortal elves exist within the reach of the Palace’s aura. The spirits of Wolfriders, unique among elves in being truly native to the World of Two Moons, are not tied to the Palace like other elves’ spirits and are free to roam where they will after death.